Kennards Hire supplied linked portable conveyors to assist with the removal of rubble from a site with limited access in Brisbane CBD. The Veer Group, a specialist provider of commercial interiors fit-out and refurbishment services undertook the work for a client. Director Alex Ugov explained that parts of the rock face behind the Adelaide Street offices had broken away over many years, filling the void between it and the building with rubble and creating a water seepage problem. Removing the rubble was a problem due to the limited access and the conveyors were the only type of machinery that could get into the space. The linked portable conveyors were set up to run along the back of the building, up a steep incline, through a window and storage area and into a basement car park, where rubbish skips were positioned. The conveyors allowed easy assembling and disassembling, enabling them to be reconfigured throughout the project. The 240V operation was quiet, and there were no fumes. 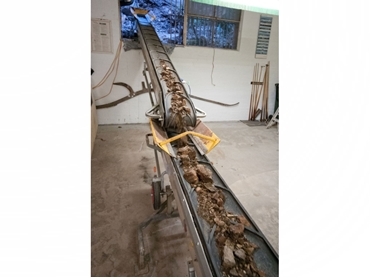 Overcoming the site access challenge, the conveyors carried more than 60 cubic metres of rubble from the narrow gap between the rock face and the building, through the window and into skips set up in the basement car park. Kennards Hire operates 129 equipment hire centres, covering all states and territories.